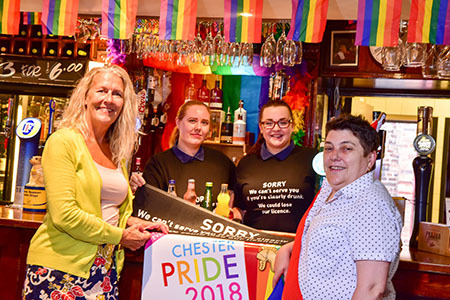 In its sixth year running, the city is preparing for the most colourful event of the year this Saturday, Chester Pride, celebrating diversity and the LGBT+ community. The free event is open to everyone, with a wide range of activities taking place, from the main parade to kick off the celebrations, to music legends such as Marc Almond performing on the main stage. 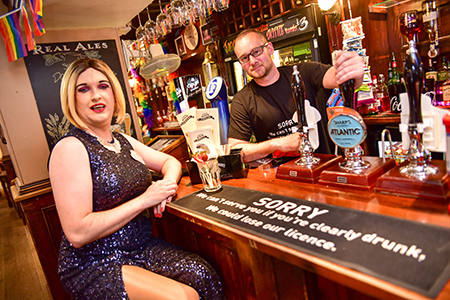 Cheshire West and Chester Council has sponsored the Health, Life and Wellbeing zone on the day and is also working with Chester Pride to raise awareness of the Drink Less Enjoy More campaign across the borough. The campaign aims to reduce anti-social behaviour related to drinking alcohol in the city as well as raising awareness of the hefty fines that you can receive. People can be fined for buying a friend alcohol if they are clearly drunk. Bar staff can also be fined and bars can lose their licence if they are found serving people alcohol who are clearly drunk. Individuals and bar staff can be fined up to £1000 for these offences. Chester Pride caters for all ages, with a Youth Zone, Vintage Pride, Health and Wellbeing Zone, Glitter Lounge, Chill Out Zone, plus much more. The event on Saturday 11 August will commence with the Walking Parade at 12pm from Castle Square, followed by fun activities and entertainment throughout the day and into the evening.